David Douglas was shot dead in the south inner city on 1 July 2016. A DUBLIN MAN has pleaded guilty at the non-jury Special Criminal Court to helping a criminal organisation carry out the murder of David ‘Daithi’ Douglas over two years ago. Douglas (55) was shot six times as he took a meal break at the counter in his partner’s shop, Shoestown, on Bridgefoot Street in the south inner city on 1 July 2016. Nathan Foley (20), with an address at Rosary Road, Maryland, Dublin 8, admitted today to participating in or contributing to activity intending to facilitate the commission by a criminal organisation or any of its members of a serious offence, namely the murder of David Douglas (55) at Bridgefoot Street in Dublin 8 between 1 July and 4 July 2016. The offence is contrary to organised crime legislation brought in by Section 72 of the Criminal Justice Act 2006. Foley is also charged with damaging a car at Strand Road, Dublin 4 three days later, on 4 July 2016. State solicitor Michael O’Donovan told the three-judge court today that the DPP had directed that Foley be brought before the court and charged with this scheduled offence. Detective Sergeant Paul Murphy gave evidence that he met Foley this morning and handed him a copy of the charge sheet, explaining the content of the charge to him. O’Donovan said that Foley could be arraigned on the new charge. Dressed in a black sleeveless jacket and a blue long-sleeved top, Foley stood up and faced the court. When the registrar read the indictment to Foley and asked him how he was pleading, he replied, “Guilty”. A book of evidence was then served on the defendant. Sean Gillane SC, prosecuting, told the court that they will need video-playing facilities for the sentence hearing. Mr Justice Tony Hunt, presiding, sitting with Judge Sinead Ni Chualachain and Judge Cormac Dunne, remanded Foley in custody until 5 December, when he will be sentenced. 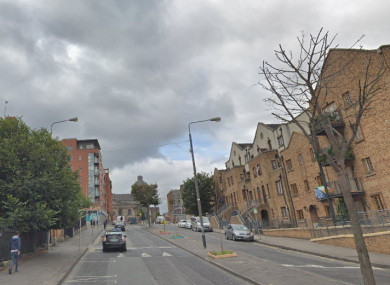 Frederick “Freddie” Thompson (37), with an address at Loreto Road, Maryland, Dublin 8 was found guilty of Mr Douglas’s murder in August of this year and sentenced to the mandatory term of life imprisonment. Email “Man pleads guilty to helping a criminal gang carry out a murder on a Dublin street”. Feedback on “Man pleads guilty to helping a criminal gang carry out a murder on a Dublin street”.